This week’s readings for the Eleventh Sunday in Ordinary Time include fascinating stories on hypocrisy, sin, repenting and forgiveness. The first reading is an excerpt from the famous story of King David and his adultery with Bathsheba. The Gospel includes a story only found in Luke where a “sinful woman” who crashed a dinner where a Pharisee was hosting Jesus. The focus on these two readings are that (i) God will forgive any sin as long as we repent and (ii) actions speak louder than words. For today’s reflection, I would like to go back to Thursday of this week, which was the Feast of St. Anthony of Padua. 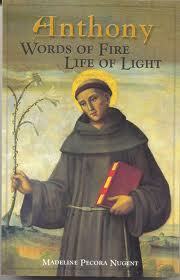 St. Anthony was born 1195 and initially joined the Cannons Regular Order of priests. At the age of twenty-five, Anthony’s life took an exciting turn. He met some Franciscans and was impressed by their simple, evangelical lifestyle. Anthony received permission to transfer from the Cannons Order to the Franciscan Order, which was very new. St. Anthony eventually developed an outstanding reputation for his preaching ability and was named a Doctor of the Church in 1946. “The man who is filled with the Holy Spirit speaks in different languages. These different languages are different ways of witnessing to Christ, such as humility, poverty, patience and obedience; we speak in those languages when we reveal in ourselves these virtues to others. Actions speak louder than words; let your words teach and your actions speak. We are full of words but empty of actions, and therefore are cursed by the Lord, since he himself cursed the fig tree when he found no fruit but only leaves. Gregory says: “A law is laid upon the preacher to practice what he preaches.” It is useless for a man to flaunt his knowledge of the law if he undermines its teaching by his actions. This entry was posted in Sunday Reflections and tagged eleventh sunday of ordinary time, king david, st. anthony of padua. Bookmark the permalink.